Skype 8.31 has been released with major quality improvements and bug fixes. The main plus point of Skype is that you can use it to call on mobile phones and even on landlines too. It has become a major communication tool for businesses. 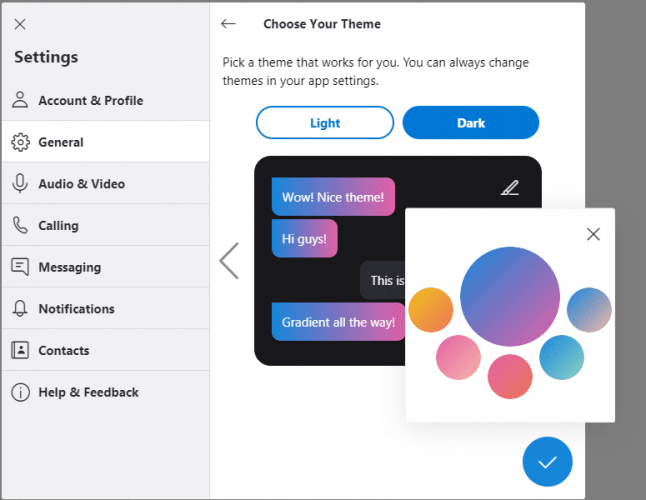 Though the features updates are already been there in some tools other than Skype but they do not give additional add ones which the Skype provides to its users. 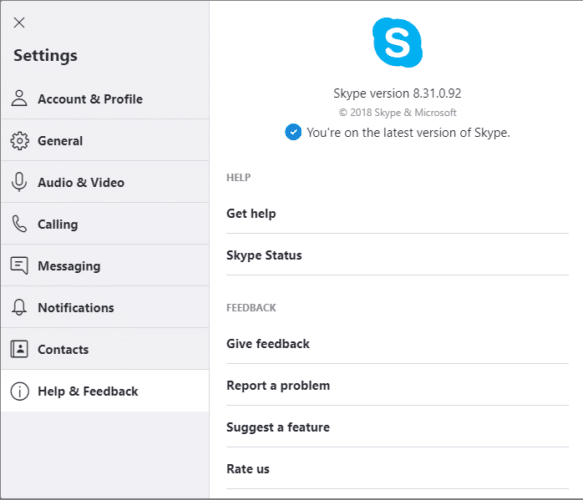 Microsoft has been working hard to make sure that Skype 8 includes all the features of version 7.40 which is scheduled to be discontinued soon. The features like searching in conversations and selecting text from multiple messages are already added in Skype 8.30. 6.1 Can Skype 8.31 run along side Skype 7.40? 6.2 When will Skype 7.40 support expire? 6.3 What is the difference between Skype for Business and Skype 8? 6.4 What is Skype for web? 6.5 Can I record my audio call in Skype? 6.6 Can I use Skye for screen sharing? 6.7 Does Skype cost money? During a group call, you can send pictures by drag and drop and you can check shared media by the gallery available for the group chat and call. You can also react to certain photo using emojis. You can change themes to dark or light according to the mode you like. Just go to Settings -> General ->Themes. 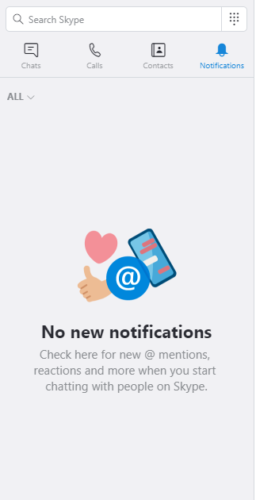 A new feature of @mention has been introduced. This feature allows you ton mention anyone specially in the chat by using @mention. You can also integrate the Skype call and can create content based on Skype calls. You can make incoming calls available on third party apps too. Just go to Settings-> Callings-> Advanced and Enable NDI usage.Although this features was in previous Skype one version too but you can access in latest one too. You can capture audio and video feeds and make them available to others too. It is expected update that Skype will be added on Amazon Alexa devices. Alexa in amazon is like Cortana in Windows 10. User will be able to answer the calls using their voice on Alexa Based devices. The installation is simple. Just download Skype from the links given below, run the installer and follow the instructions. If you want to update the Skype, go to Skype and Select Help and Feedback. It will manually check for the updates and install the latest updates on your machine. Some users in some regions had previously encountered issues in signing in . Incorrect credential or connection related errors were displayed to such users. This issue has now been resolved. Same issues had been observed for XBox One users. They had to face sign in issues . The regions affected were specially Europe and United States. This bug has also been fixed. Skype 8.31 is supported on majority of the platforms including Windows XP, Windows Vista, Windows 7, Windows 8.1 and Windows 10. Skype is also supported on non-Microsoft platforms like Mac, Linux, Android and iOS. Skype runs on both 32-bit and 64-bit versions of the Operating Systems. Let’s quickly go through some frequently asked questions related to Skype so that we can use and troubleshoot the application effectively. Can Skype 8.31 run along side Skype 7.40? Yes you can run Skype 7.40 and 8.31 along side each other. The two apps will be able to sign into the same account simultaneously. But since Microsoft is listening to its Skype users and is adding almost all the missing features in Skype 8.31, it is wise to upgrade to the latest version of Skype instead of using the Classic one which is bound to be discontinued soon. When will Skype 7.40 support expire? Support for Skype version 7 will end on November 1, 2018. You will be automatically logged out of the previous version and you can use Skype only if you install the latest versions higher than version 7. Before expiration, you can access previous chat history within one year duration. You can also export your chat history to spreadsheet or some other software but you can encounter some formatting issues. What is the difference between Skype for Business and Skype 8? Skype for Business is a managed version of Skype meaning that it can be managed from a centralized location like Active Directory or a DNS Server. Skype for business functionality is almost same like Skype. The difference is in video conferencing and security. Skype for Business comes with enterprise grade security features and supports up to 250 people in online meetings. It is not free and costs around $2/user/month. You can now login to Skype even if you don’t have the application installed on your computer. Just go to https://web.skype.com and login with your Microsoft credentials to login to Skype for web. Skype is also integrated into Outlook.com web mail. You will automatically be signed into Skype if you login to outlook.com. Can I record my audio call in Skype? Yes the newest version of Skype 8.31 lets the user record audio calls. The option becomes visible when you call someone. Can I use Skye for screen sharing? Although Skype can’t be used for support assistance, the users can share their computer screens on Skype. The option is visible when you are in a call with another Skype user. Skype to Skype calls and text messages are free. There are some charges when you call from Skype to any landline or mobile no. worldwide. You can check out the calling rates here. If you have any question in mind regarding Skype 8.31, please ask in the comments below and we will try to answer all your queries.